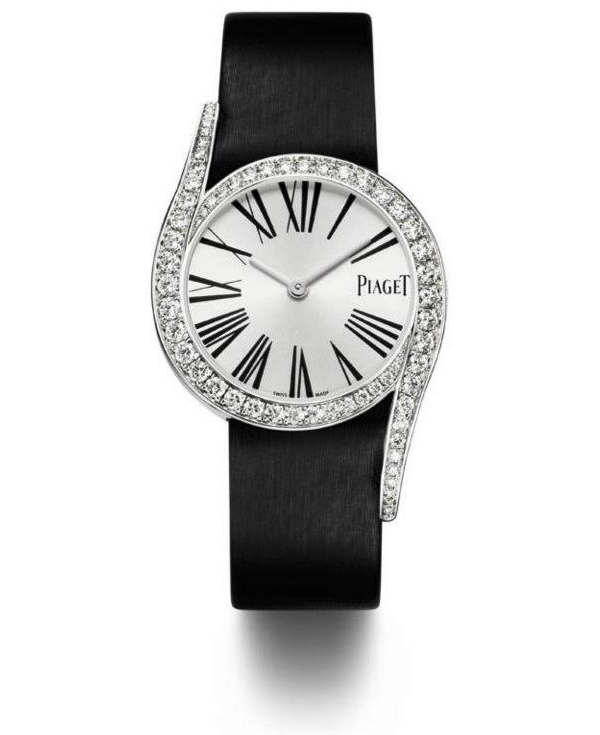 Piaget is a personal favorite of many a women. 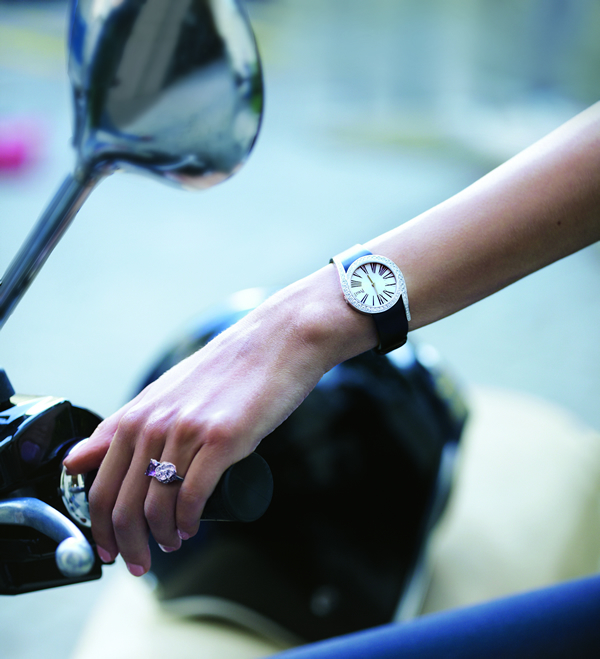 The watchmaker has won women’s hearts with luxurious creations that beautifully combine excellence in horology with style. 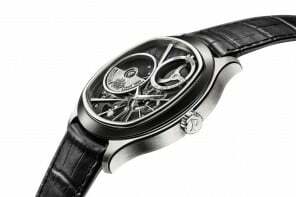 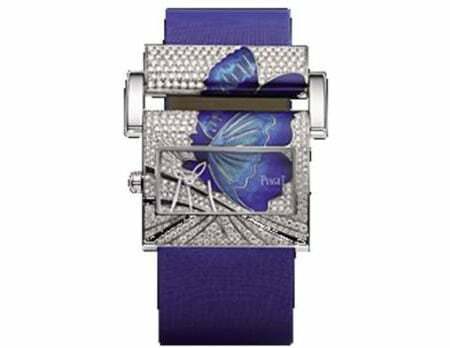 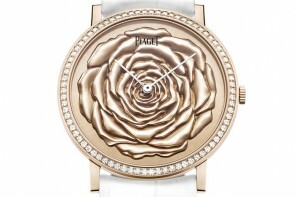 Piaget’s new offering The Limelight Gala collection is yet another winning creation that promises to woo the women. 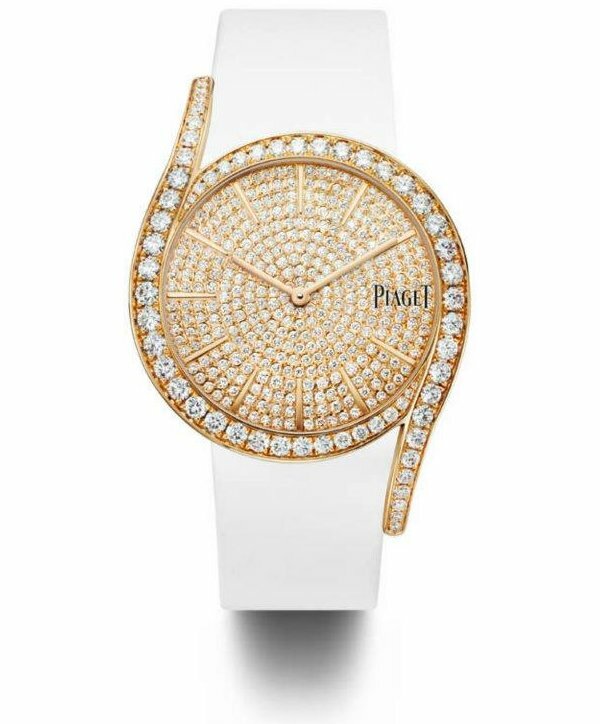 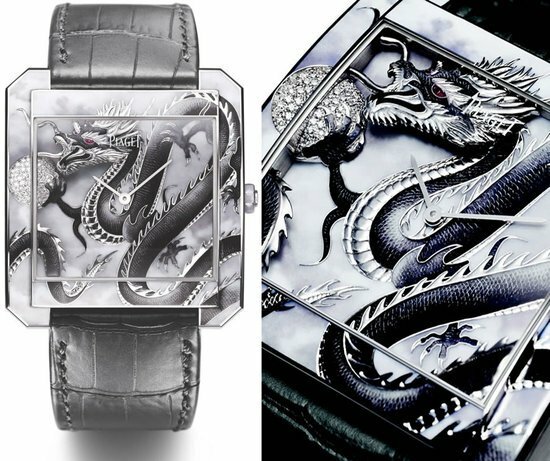 Drawing its inspiration from this fascinating 1960’s period, this collection sets new standards for jewelry watches. Precious gem-setting along with a beautiful design make this collection a perfect choice for the woman of today. 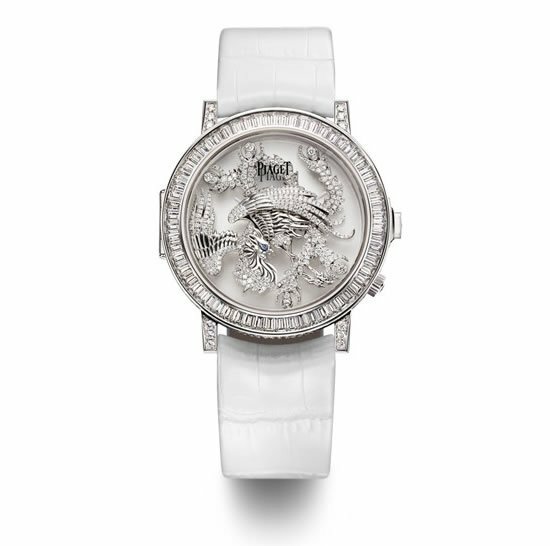 Its round case is sublimated by two extended lugs and the bezel is set with a row of progressively sized brilliant-cut diamonds. 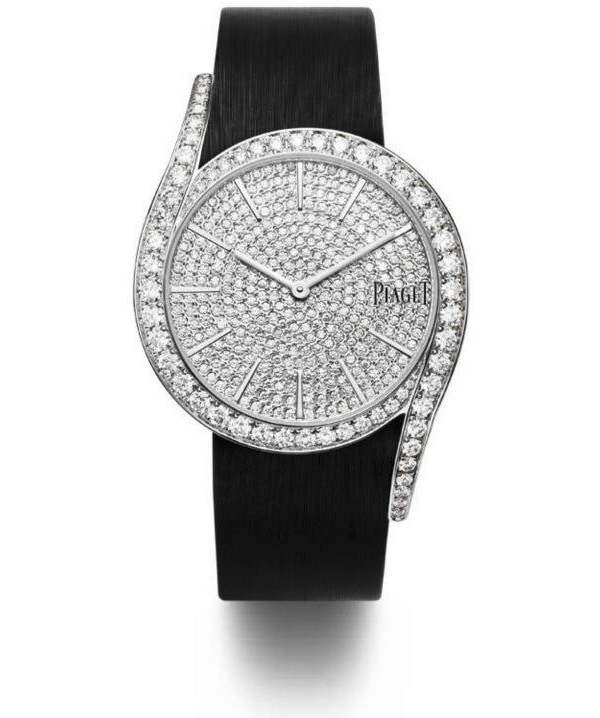 The 32mm dial flaunting black Roman numerals perfectly complemented by the refined satin strap. 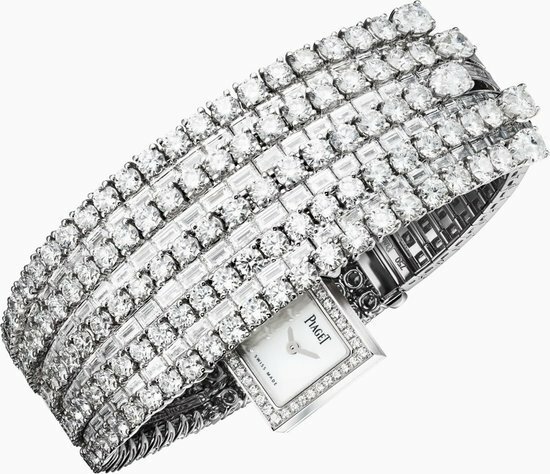 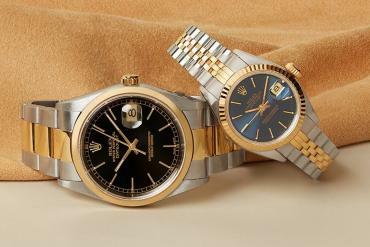 The collection comprises of three versions of the timepiece, 18K white gold watch with a black satin strap, 18K pink gold watch with a white satin strap and the 18k white gold watch with a dial paved with 228 brilliant-cut diamonds with a bracelet paved with 451 brilliant-cut diamonds. 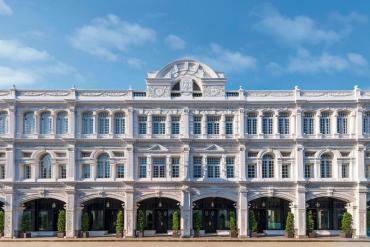 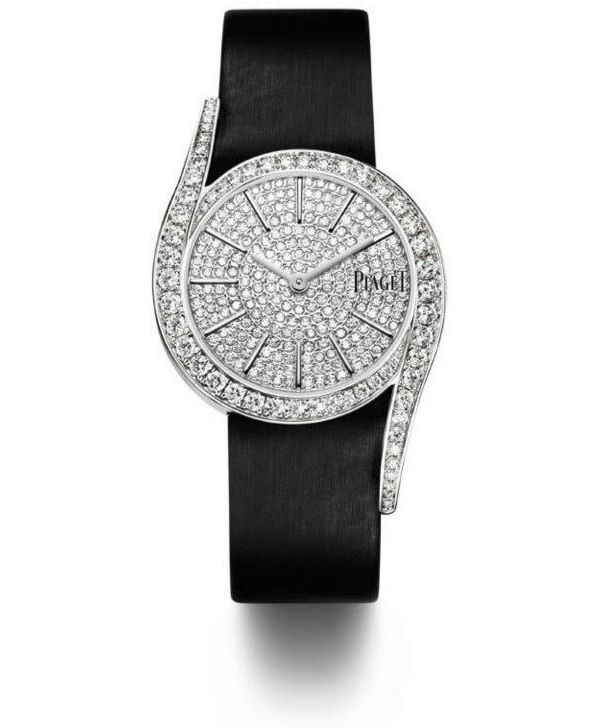 The black satin strap and the white satin strap versions both have an ardillon buckle set with 1 brilliant-cut diamond. 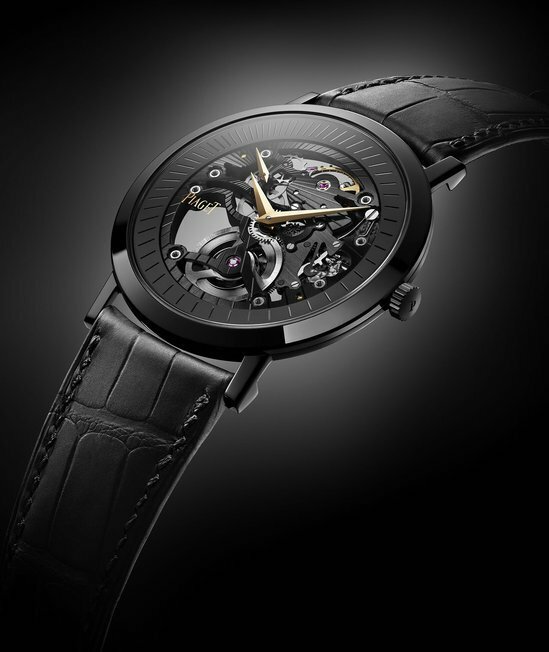 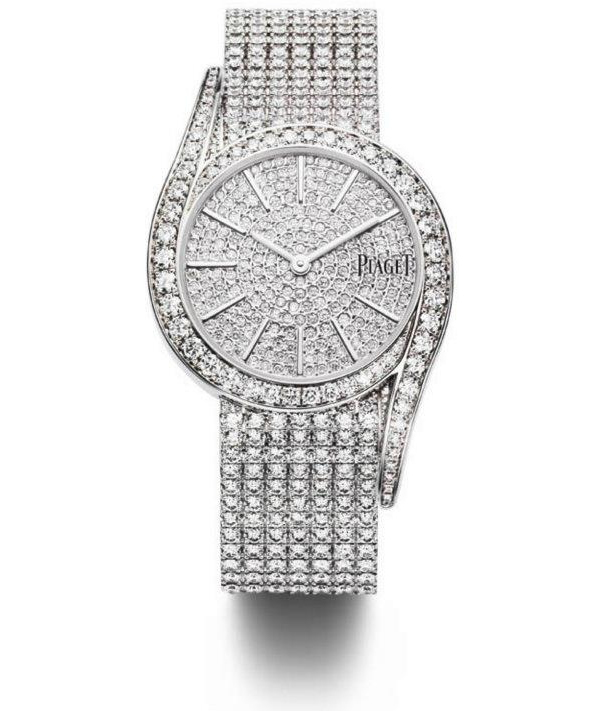 All three pieces are powered by the Piaget 690P quartz movement. 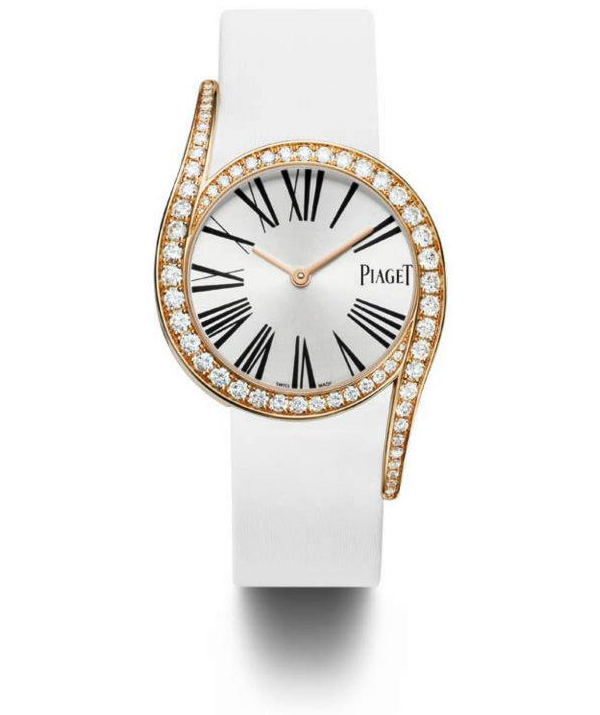 Simply stunning, the Limelight Gala collection by Piaget will surely leave the ladies mesmerized.